Add a little flare to your wardrobe with the Edgy Top! 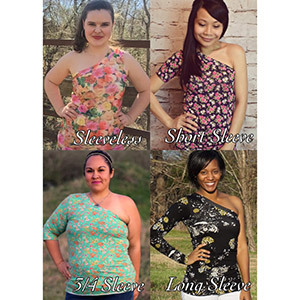 Uniquely designed with a one-shoulder neckline and four sleeve options (including sleeveless), this pattern is fun all year long! Mix up prints and solids with the optional neckline flounce or go classic in all one fabric! 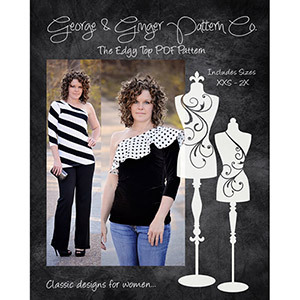 The pattern is available in sizes 0 to 20. 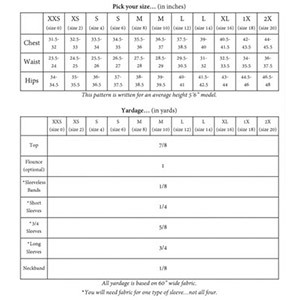 Suggested fabrics are cotton jersey, cotton spandex, or ponte de roma.